Tea contains multiple biologically active compounds such as antioxidants. Multiple studies prove beneficial effect of tea on prevention and managements of cardiovascular diseases, atherosclerosis and stroke. Medicinal properties of tea were highly regarded for centuries in traditional medicines of India and China. This is one of the most popular beverages in the world these days. Not surprisingly, a simple Google search immediately reveals hundreds of articles, aimed to both academic and general public, which are dedicated to different health effects of tea drinking. Modern science has identified a large variety of different compounds from different types of tea that have various effects on human body. Most notably, a significant number of anti-oxidants were found in both green and black tea. They are considered as key components for beneficial effects of tea on cardiovascular system. However, the information available online is sometimes contradictory. Some claims of tea’s beneficial effects don’t seem to be confirmed by scientific research. The numbers reported by different researchers can also differ quite dramatically. So what are the hard scientific evidences in favour of tea drinking? What’s there in the cuppa? Chemical composition of tea is very complex. The bulk of positive effects is associated with so-called polyphenolic compounds, such as catechins, that possess antioxidant activity. Tea also contains vitamins, minerals, saccharides and many other components. Three most commonly used varieties of tea include black tea, green tea and oolong tea. Active components of these varieties are not the same. Fermentation and processing can significantly change the composition of active ingredients in the beverage. The major antioxidants present in black tea are theaflavins. The total antioxidant content of black tea is much lower than green tea. Green tea is made from non-fermented leaves and contains the highest level of antioxidants. Brewing technique also matters: prolonged exposure of tea leaves to high temperature can damage the biologically active compounds responsible for health benefits. Green tea contains catechin and several of its derivatives such epigallocatechin gallate (EGCG). EGCG is the major antioxidant in green tea. This is the best studied and the most active component of green tea. Tea also contains alkaloids such as caffeine, theobromine, and theophylline. 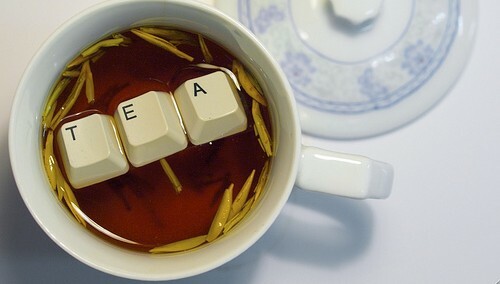 They provide stimulating effect of tea. One of the amino acids found in green tea, L-theanine, is reported to have calming effects on the nervous system. A number of studies indicate a significant positive effect of tea drinking on reduction of cardiovascular risk. Scientific data suggest that black and green tea may reduce the risk of both coronary heart disease and stroke by between 10 and 20%. Some estimates suggest that consumption of tea reduces the chances of dying from heart attack by at least fifth. Indirect evidences that long-term consumption of tea can have very positive effects on the health come from Japanese statistics. Japan has the lowest rate of cardiovascular diseases in the world, both among men and women. This is rather surprising taking into account a very high rate of smoking among Japanese males. Many researchers believe that this statistics is linked to the high level of green tea consumption. In Japan, green tea is consumed practically with every meal, and many people drink very significant amounts of this beverage on a daily basis. Green tea reduces the general level of cholesterol, as well as the level of so-called “bad” cholesterol. This, in turn, has effect on body weight. High consumption of tea results in better liver health, as well as protection of pancreas. Some studies show that green tea and oolong tea have beneficial effect on hypertension. A group of Chinese researchers reported that regular consumption of green tea reduces the chances of hypertension by 46%. Antioxidant properties of green tea may also help prevent atherosclerosis, particularly coronary artery disease. Excessive weights and obesity significantly increase the chances of cardiovascular diseases. Tea drinking leads to more intensive metabolism, which results in faster fat oxidation and weight loss. Habitual tea drinkers have significantly lower percentage of body fat. This effect seems to be associated in a significant degree with the action of major antioxidant in green tea, epigallocatechin gallate (EGCG). Tea drinking is known to reduce blood sugar and insulin level. This leads to anti-diabetic effect. In the long run, this can lead to anti-aging effect and better life expectancy. One of the complications with the studying of the effects caused by tea drinking is difficulty in comparing the research data coming from different laboratories. The content and amount of biologically active ingredients varies sufficiently from one type of tea to another. For instance, the term “green tea” refers, literally, to several hundreds of varieties coming from different geographic regions with different climate and soil. They originate from different kind of tea plants. These varieties not only have different taste but also differ significantly in terms of chemical composition. On top of that, different teas are processed differently, and different methods of brewing are employed in different countries. As a result, Japanese and Chinese green tea have very different tastes, and there are significant differences even between different regions within each country. This consideration is important – many scientific publications report very different numbers when practically the same health-related parameters are studied. As a result, there is a significant degree of confusion in some areas of medical research, particularly in regards to studying the effects of tea on some types of cancer. This problem is common for many studies aimed to assess the efficiency of herbal medicine since all of them contain numerous components, and the variations between different experiments performed in different laboratories can be very significant. Vita, J.A. (2003) Tea consumption and cardiovascular disease: effects on endothelial function. J. Nutr. 133, 3293S-3297S. Does Smoking Marijuana Lower Cholesterol? Mediterranean diet: should you drink wine or eat grapes ?